Peter Dudas, Hybrid City Bicycle. 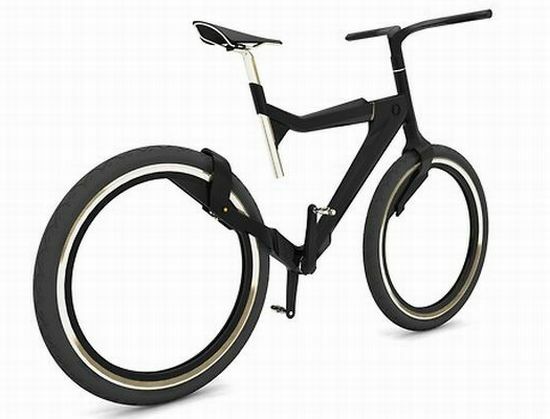 If I could get a bike like this, I would ride to work every day. This concept is just stunning. 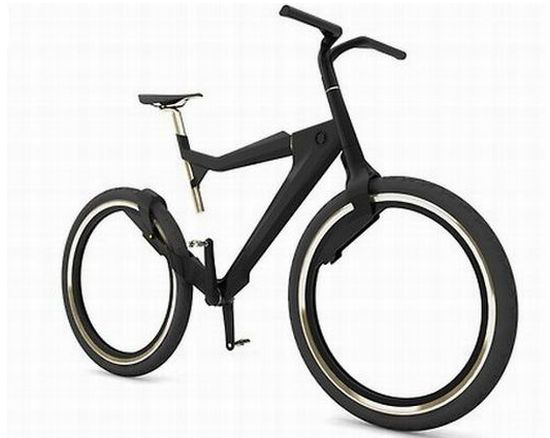 Italian Designer Peter Dudas, has come up with a minimalist elegant bicycle concept, the “Hybrid City”. 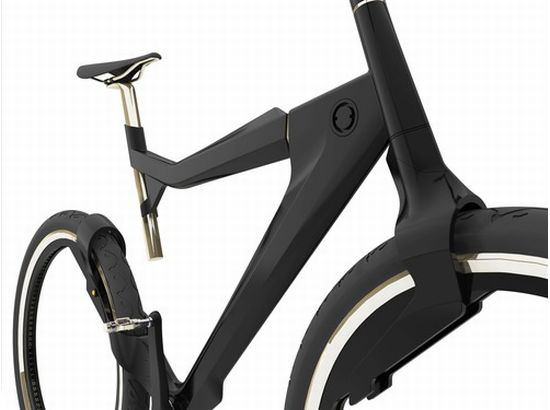 Made from carbon fiber, aluminum, and nivachrom, the bike has a low weight threshold while achieving maximum durability. 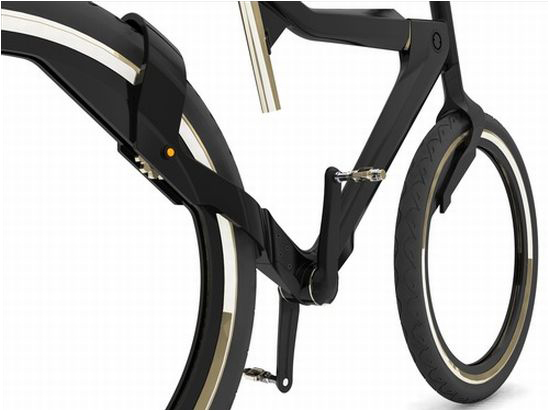 The design is a minimalistic play on a typical city commuter bicycle. The lines of the bike are simple and dynamic while the overall design is an exotic concept that looks fast even while standing still. The shape is an extreme, going against the grain of classic bike iconography. Dudas Hybrid City bike removes the chain, and replaces it with a direct transmission with a gears hidden in the frame for a clean, sporty design. The wheels are hub-less and connected to to the transmission with a system of gear wheels. All the cables for the breaks and shifter are hidden in the frame to streamline the look further. 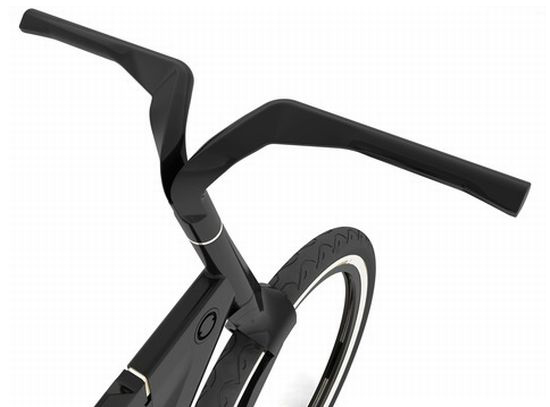 The saddle and handlebar assembly are made from aluminum, and coated with carbon fiber. Posted in Design and Art, Technology and tagged Bicycles, Carbon Fiber, Hybrid City, nivachrom, Peter Dudas on February 10, 2010 by Author. ← Coke’s “Happiness Machine” Viral Video Campaign.